Labradors thrive on the challenge of advanced training, and their responsive nature and eagerness to please make them adept competitors in obedience, agility, and field trials. The Labrador’s keen scenting abilities, “soft mouth”, and strong retrieval instinct also give it superb potential as a gundog. Before practicing retrieves, a dog must be well controlled, reliably walking to heel and always coming when called. After your Labrador has learned to hold and then give a canvas – covered dummy gently to hand, teach it to wait while the dummy is thrown before fetching it on command. Attend gundog classes to master relevant whistle, verbal, and directional commands, and retrieves from all types of cover as well as in and across water. Formal training accustoms your dog to working on unfamiliar terrain and with distraction of other dogs and handlers. With the supervision of an experienced trainer, introduce your dog to gunfire, then work on scenting and tenderly collecting freshly – killed game. In field trails and at hunts, dogs must be steady at all times, never chasing unshot game, and only leaving your side when instructed. All Labradors share an instinctive desire to retrieve, and have been bred to respond well to human direction. They are also “soft mouthed” – able to hold items gently. With dedicated tuition, most Labradors can be trained in advanced obedience, agility, or gunwork. However, various kennels specialize in producing dogs for different roles, especially field trials and show ring. Field trialing requires nimbleness, swift response to command, and highly developed scenting skills. If you plan to enter this very competitive sport, seek advice from a successful field – trial trainer on selecting the most suitable puppy. Competitive obedience trials provide excellent mental stimulation. Begin classes at six months, after your dog has mastered walking on a lead and basic commands. Advanced training includes close and fast – pace heelwork, retrieves, recalls, distant control, sustained sit/downs (sometimes for as long as 10 minutes with the handler out of sigh), send – away/down/return sequences, and scent discrimination. 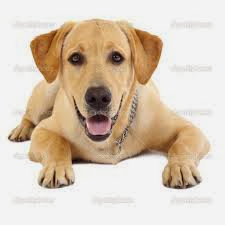 Labradors have a natural advantage in retrieval tests, and can be trained to high levels. Beginning with a dumb – bell, dog’s progress to fetching items provided by the trials judge. Agility courses open to all dogs are run against time. The Labrador is not as fast as some other breeds, but can be very nimble if enthusiasm is restrained. To be successful, your dog must respond well off a lead and tackle obstacles only on your command. Agility work requires dexterity, confidence, and instant response to command, and can be a productive channel for restless energy. Standard trial apparatus includes an “A” frame, hurdles, a tyre, poles to weave through, a tunnel, and a see – saw. Training demands ample patience; start when your dog is a year old by enrolling in a local club. Make sure that both you’re your Labrador are sufficiently fit to participate.